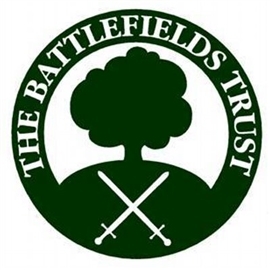 The Battlefields Trust in partnership with the Royal Gunpowder Mills at Waltham Abbey present a one-day seminar on gunpowder weapons from the fifteenth to the seventeenth centuries, entitled ‘And down goes all before them’, a quotation from Shakespeare’s Henry V.
The day will include lectures, demonstrations of gunpowder weapons by re-enactors and tours of the Royal Gunpowder Mills. Speakers include Helen Adams, Richard Knox and Simon Marsh, with demonstrations from Rumford Artillery Group (part of Lord Fauconbergs Household) of the War of the Roses Federation and Rawdon's Regiment of the English Civil War Society. Details of the full programme, which is subject to change, can be found HERE. Cost for the day is £40.00 per person (£35.00 for Battlefields Trust members) and includes lunch and refreshments. To book a ticket please download and complete the booking form HERE returning it with payment as directed on the form. For further information contact Harvey Watson using the details below.